Blue Calypso – The Circuit affirms in part and reverses in part an appeal from five covered business method reviews of Blue Calypso patents directed to a peer-to-peer advertising system that ‎uses mobile communication devices. The opinion first broadly defines what is a "financial product" as it relates to a CBM patent and narrowly defines the "technological invention" exception, holding that the patents at issue are properly involved in a CBM review. A majority of the panel affirms the Board's determination that many of the claims of the five patents were invalid as anticipated. The panel reverses the Board's decision that other claims are invalid for violating the written description requirement, ruling that the Board focused too much on the fact that the precise terms used in the claims were not used in the specification rather than looking to see what would have been understood by one with ordinary skill making reference to the figures, specification and claim language. In an interesting discussion as to whether papers that are theoretically available on the Internet in fact qualify as printed publications, the panel agrees with the Board in rejecting Groupon's argument that a paper that was posted on the personal webpage of a graduate student was reasonably accessible to one interested in the art. Thus, the panel affirms the Board's refusal to find obvious many of the claims based on the paper. UltimatePointer – UltimatePointer sued Nintendo for infringement of its patent directed to a handheld pointing device that can be used to control the cursor on a projected computer screen, improving a presenter's ability to control the cursor while making a presentation to an audience. UltimatePointer alleged that its patent was infringed by the interaction of the Nintendo Wii remote with the Wii sensor bar (instead of the screen noted in the patent). UltimatePointer appeals a district court final judgment granting summary judgment of noninfringement and invalidity. The panel holds that the district court correctly construed "handheld device" to include the limitation of "direct pointing" due to characterizations in the specification that identify two types of pointing, direct and indirect pointing, and disparage indirect pointing. Therefore, the Circuit affirms the judgment of non-infringement. The panel also reverses the district court's finding of indefiniteness of the asserted claims. The district court had found indefiniteness because the apparatus claims contain a method step that does not tie the functional language to the device's capability. Therefore, according to the district court, it was unclear whether claims were infringed when the apparatus was created or when it was used. The panel disagrees, holding that the claims do reflect the capability of the claimed apparatus because the "generating data" limitation reflects the capability of that structure rather than the activities of the user. Eon – A divided panel reverses a determination of infringement of patents directed to utility meters attached to the exterior walls of buildings. The basis for the reversal is that the district court failed to construe "portable" and "mobile," the meaning of which was hotly contested by the parties. Instead of construing the terms, the district court instructed the jury to use their "plain and ordinary meaning," in effect making claim construction an issue of fact. Construction is of course to be an issue of law decided by the court. The jury applied what it understood to be the plain and ordinary meaning, and found the patents valid and infringed, awarding Eon $18,800,000. On Silver Spring's motion for JMOL, the district court reversed the jury verdict as to one of the three patents but upheld it as to the other two. The court also remitted the damages award to $12,990,800. The majority construes the terms at issue and then rules that remand was not necessary since no reasonable jury could find infringement, given the proper claim construction. In dissent, Judge Bryson opines that the majority improperly construed the terms, and he would have found infringement. Luminara– The Circuit reverses the grant of a preliminary injunction that required appellant Liown Electronics to stop selling and actually recall its artificial flame candles accused of infringing a Disney patent directed to candles used in a Disneyland ride called Haunted Mansion. The panel first rejects Liown's argument that Luminara lacked standing to sue because substantial rights were retained by Disney. Specifically, the panel finds the following retained rights insufficient to require Disney to be added as a party: the right of Disney to practice the patents; title to the patents; the responsibility for maintenance fees; a financial interest in litigation and licensing; and a right to notice of litigation. The panel then turns to validity but first determines that the district court was too narrow in interpreting the phrase "free to pivot" to include chaotic movement and movement that is more than rotation around two axes, seeing no basis for departing from the plain meaning of the phrase. Comparing this narrower construction to the prior Disney patent, the panel rules that substantial questions are raised as to whether the prior patent anticipates the sole claim forming the basis of the preliminary injunction. Harmonic – The panel affirms the nonobviousness determination and, citing Cuozzo and the recent Synopsys case, rules that it does not have jurisdiction to hear the appeal as to whether the decision was appropriate to institute on fewer than all of the petitioned grounds, even if some of those grounds were simply determined by the Board to be "redundant." Harmonic filed an IPR petition to review the patentability of Avid's patent directed to a system for decompressing streams of compressed video data. The Board instituted the IPR based on fewer than all of the grounds in the petition, ruling that several of the grounds were "redundant" with those on which IPR was instituted. The Board ultimately determined in its final written decision that the instituted ground did not render any of the claims unpatentable. These related appeals arise from Covered Business Method reviews of five patents owned by Blue Calypso. The PTAB granted the petitions, filed by Groupon, for review under the transitional program for CBM patents. In its final written decisions, the Board found various claims of the patents unpatentable under 35 U.S.C. §§ 102 and 112 but rejected Groupon's arguments of invalidity under § 103. On appeal, Blue Calypso raises three arguments. First, the Board should not have conducted CBM review of the patents at issue because, in Blue Calypso's view, they do not claim CBMs. Second, the Board incorrectly found that Paul anticipated many of Blue Calypso's patent claims. Finally, the Board should not have found that the contested claims of the '055 patent were unpatentable for lacking written description support. In its cross-appeal, Groupon contends that the Board erred in concluding that Ratsimor was not prior art. The Panel Broadly Defines "Covered Business Method"
Although the decision to institute a CBM review is, per the AIA, "final and nonappealable," we have held that the question of whether a challenged patent claim is a CBM relates to the Board's authority to issue a final decision in a CBM review. Versata Dev. Grp., Inc. v. SAP Am., Inc. (Versata II), 793 F.3d 1306 (Fed. Cir. 2015). Nor does the AIA preclude us from reviewing the conclusion that the challenged patent claims are covered business methods that lack any technological invention. Versata II. CBM review is limited to patents "that claim a method or corresponding apparatus for performing data processing or other operations used in the practice, administration, or management of a financial product or service, except that the term does not include patents for technological inventions." AIA § 18(d)(1). Blue Calypso asserts that its patents are not CBM patents because they relate to a method for managing and distributing advertising content, which is not "a financial product or service" that traditionally originated in the financial sector, e.g., banks, brokerages, holding companies and insurance firms. These arguments are foreclosed by our recent decisions in Versata II and in SightSound Techs., LLC v. Apple Inc., 809 F.3d 1307 (Fed. Cir. 2015). In Versata II, we examined the statutory definition of CBM patents, the relevant legislative history, and the PTO's statements in its Notice of Final Rulemaking and concluded that the statute "on its face covers a wide range of finance-related activities" and "the statutory definition makes no reference to financial institutions as such, and does not limit itself only to those institutions." More recently, in SightSound, we agreed with the Board that "a 'financial activity' not directed to money management or banking can constitute a 'financial product or service' within the meaning of the statute." Here, the Board declined to limit the application of CBM review to patent claims tied to the financial sector. This determination is consistent with our case law. Blue Calypso also contends that the challenged claims fall within the technological invention exception for CBM review because the claims are computer-based and contemplate hardware, software, a network, and communication devices. Versata II addressed the technological inventions exception. Congress created the technological inventions exception in § 18(d)(1), but expressly delegated authority to the PTO to provide a definition of "technological inventions" that would be excluded from CBM review. AIA § 18(d)(2). In Versata II, we examined the resulting regulation, 37 C.F.R. § 42.301(b), which explains that a patent claims a technological invention if "the claimed subject matter as a whole recites a technological feature that is novel and unobvious over the prior art; and solves a technical problem using a technical solution." We also turned to the PTO's Office Patent Trial Practice Guide, which lists certain claim drafting techniques that are insufficient to render a patent a technological invention: "(1) mere 'recitation of known technologies'; (2) 'reciting the use of known prior art technology'; and (3) 'combining prior art structures to achieve the normal, expected, or predictable results of that combination.'" Ultimately, we rejected the argument that merely reciting the use of a computer would satisfy the technological invention exception, noting that "the presence of a general purpose computer to facilitate operations through uninventive steps does not change the fundamental character of an invention." Versata II (citing Alice); see also SightSound (holding that Versata II supports the conclusion that "a combination of known technologies does not amount to a 'technological invention' within the meaning of the statute"). Accordingly, the Board correctly rejected Blue Calypso's proposed interpretation of "technological invention." The Blue Calypso patents generally describe a peer-to-peer advertising system that ‎uses mobile communication devices. ‎In determining that the Blue Calypso patents are CBM patents, the Board reviewed the claims, noting, for example, claim 1's recitation of "subsidizing the qualified subscriber according to the chosen subsidy program." The Board construed the claim term "subsidy" as "financial assistance given by one to another." The Board further observed that the subsidy concept was "central to the claims" because "without the subsidy or subsidy program, there is no incentive for a subscriber to perform the other steps in the claims." Based on this understanding, the Board concluded that the challenged claims were financial in nature and therefore subject to CBM review under § 18(d)(1). The Board reiterated this reasoning in its final written decision. We agree. Significantly, Blue Calypso has not challenged the Board's interpretation of subsidy as "financial assistance given by one to another." Thus, under this unchallenged interpretation, the claims of the Blue Calypso patents are directed to methods in which advertisers financially induce "subscribers" to assist their advertising efforts. Blue Calypso next contends that the claims represent technological inventions because they are directed to a solution that remedies technological limitations of traditional broadcast advertising. Claim 1 of the '516 patent, for example, recites "a system comprising a network, a source communication device, a destination communication device and an intermediary connected to the network." These elements are nothing more than general computer system components used to carry out the claimed process of incentivizing consumers to forward advertisement campaigns to their peers' "destination communication devices." Blue Calypso has not pointed to any technological aspect in the claims that rises above the general and conventional. Thus, just as in Versata II, conventional computer components cannot change the fundamental character of Blue Calypso's claims. Because the Board's decisions that the patents are CBM patents that do not claim a technological invention are not arbitrary or capricious and are supported by substantial evidence, we conclude that the Board acted within its authority in conducting CBM review of the challenged claims. The Board found that Paul discloses "an Internet-based e-mail communications system that broadcasts communications to members." The Board further explained that this communications system consisted of numerous "tools," including one that "allows the users to develop and manage an email direct marketing campaign that sends personalized e-mail messages to members whose member records match parameters identified for the campaign," and another tool that "provides a 'refer a friend' advertising campaign that provides a coupon to a member who is successful in referring a friend to the web site." Both of these tools incorporated the use of a hyperlink for viewers to click to access the website. The Board found that, given Paul's discussion of combining features of various tools disclosed therein, a skilled artisan would "at once envisage" the combination of two of the disclosed tools—refer-a-friend and campaigns—to arrive at the system claimed in the Blue Calypso Patents. We agree. There is no suggestion that one of skill in the art would not have the ability to use the direct e-mail campaign tool option in conjunction with the refer-a-friend campaign tool to send refer-a-friend e-mail message incentives to a subset of the members based on member demographic characteristics. For these reasons, we conclude that the Board's findings are supported by substantial evidence. Accordingly, we affirm the Board's determination that the disputed claims are anticipated by Paul. Blue Calypso also argues that the Board erred in finding claims unpatentable for failing to satisfy the written description requirement of § 112. To adequately support the claims, the written description "must clearly allow persons of ordinary skill in the art to recognize that the inventor invented what is claimed." Ariad Pharm., Inc. v. Eli Lilly & Co., 598 F.3d 1336 (Fed. Cir. 2010) (en banc). The written description requirement plays a vital role in curtailing claims that have not been invented, and cannot be described. Groupon argued that the term "endorsement tag" in independent claim 1 and the term "token" in independent claim 2 lack written description support. For example, claim 1 recites in relevant part: "providing an endorsement tag related to the at least one advertiser of the group of advertisers and linked with the advertising content; . . . ." Similarly, claim 2 recites in relevant part: "sending a token related to the advertisement to the source communication device; . . . ." Before the Board, Groupon argued that these claim terms—"endorsement tag" and "token"—lacked written description support because the terms are absent from the written description of the '516 patent. Blue Calypso, on the other hand, asserted that a skilled artisan would understand that these claim terms refer to an executable link and the written description specifically describes usage of an executable link in the same way that the claims recite using an "endorsement tag" or "token." The Board responded to these arguments by first acknowledging that the specification need not explicitly "use the term[s] or otherwise describe exactly the subject matter claimed." Nevertheless, the Board ultimately rejected Blue Calypso's argument. Blue Calypso now argues that the Board impermissibly elevated the fact that these terms are absent from the '516 patent's written description. We agree. The written description requirement is an important component of maintaining the integrity of our patent system. To accomplish this goal, § 112 mandates that the specification must contain a description of the claimed subject matter. Even so, when examining the written description for support for the claimed invention, the exact terms appearing in the claim need not be used in haec verba. We are therefore troubled by the fact that the Board did not cite any evidence other than the fact that the terms were not present in the specification to support its finding. In fact, the only evidence that Groupon placed in the record to support unpatentability was Dr. Joshi's declaration that "one of ordinary skill in the art would not define the terms 'endorsement tag,' 'token,' and 'link' to necessarily have the same meaning" and that these terms have other meanings in the art. Accordingly, we conclude that the Board placed undue weight on the absence of the terms in the specification. Our conclusion that Groupon failed to carry its burden of demonstrating unpatentability under § 112 is further supported by the figures of the patent, the specification, and the claim language. For these reasons, we conclude that the Board erred by giving improper weight to the mere fact that "tag" and "token" are absent from the text of the written description. We therefore reverse the Board's conclusion that these claims are unpatentable as lacking adequate written description support. In its cross-appeal, Groupon requests that we reverse the Board's decision that Ratsimor was not a printed publication and could not therefore be relied on to prove unpatentability. Ratsimor is a report co-authored by Dr. Ratsimor and Dr. Joshi, Groupon's expert. In Ratsimor, the authors describe a program involving a software framework entitled "eNcentive," which can be used to transmit advertising materials to users and allow those users to forward those ads to other users. The users who forward the ads are then rewarded with additional promotions and other compensation. Dr. Ratsimor made her report available via a hyperlink on the personal webpage that she maintained while she was a student at UMBC. Before the Board, Groupon argued that claims of the Blue Calypso patents were unpatentable as anticipated or obvious in light of Ratsimor. Groupon asserted that Ratsimor was available via a hyperlink located on a personal webpage created by a graduate student before the critical date of the Blue Calypso Patents. According to Groupon, this reference was therefore a printed publication under § 102(b). The Board disagreed, concluding that even if Ratsimor was available on the Internet, the evidence Groupon presented was insufficient to find that the report was publicly accessible. Therefore the Board concluded that Ratsimor was not a printed publication and could not be used to prove unpatentability. Section 102 provides that "a person shall be entitled to a patent unless . . (b) the invention was . . . described in a printed publication . . more than one year prior to the date of the application for patent . . ." This rule is "grounded on the principle that once an invention is in the public domain, it is no longer patentable by anyone." In re Hall, 781 F.2d 897 (Fed. Cir. 1986). To qualify as a printed publication, a reference "must have been sufficiently accessible to the public interested in the art." In re Cronyn, 890 F.2d 1158 (Fed. Cir. 1989). Because there are many ways in which a reference may be disseminated to the interested public, public accessibility has been called the touchstone in determining whether a reference constitutes a printed publication bar under 35 U.S.C. § 102(b). A reference will be considered publicly accessible if it was "disseminated or otherwise made available to the extent that persons interested and ordinarily skilled in the subject matter or art exercising reasonable diligence, can locate it." The issue of public accessibility has frequently arisen in the context of references stored in libraries. In these cases, we generally inquire whether the reference was sufficiently indexed or cataloged. For example, in Hall, we found that a dissertation was publicly accessible because it was shelved and indexed in a card catalog at a German university. In contrast, in Cronyn, we found that the references were not publicly accessible, despite the use of indexing, because the references were indexed only by title and author's name, rather than by subject. Indexing only by title and author's name did not amount to the references being "either cataloged or indexed in a meaningful way." Indexing by subject offers meaningful assurance that an ordinarily skilled artisan, exercising reasonable diligence, will be able to locate a particular reference among the many volumes stored in a library. Only more recently have we addressed the question of how to determine public accessibility of a reference housed on a webpage in one corner of the vast world wide web. "Indexing is no more or less important in evaluating the public accessibility of online references than for those fixed in more traditional, tangible media." Voter Verified, Inc. v. Premier Election Sols., Inc., 698 F.3d 1374 (Fed. Cir. 2012). In Voter Verified, we found that a particular article that was available only through an on-line publication was publicly accessible. We reached that conclusion based on unrebutted testimony in the record indicating that the particular on-line publication was well known to the community interested in the subject matter. In addition, we noted that numerous related articles were also located within the same on-line publication. These factors overcame the absence of evidence demonstrating that the website at which the article was located was indexed and thereby findable by an Internet search engine. Thus, we concluded that "whether or not the website itself had been indexed (through search engines or otherwise), the uncontested evidence indicates that a person of ordinary skill interested in electronic voting would have been independently aware of the on-line publication as a prominent forum for discussing such technologies." Just as indexing plays a significant role in evaluating whether a reference in a library is publicly accessible, Voter Verified underscores that indexing, "whether through search engines or otherwise," is also an important question for determining if a reference is publicly accessible. Groupon has provided no evidence that Ratsimor was disseminated to the interested public before the critical date other than testimony from Dr. Joshi that it was "publicly available around November 2003." Even if we assume that Ratsimor was available online on Dr. Ratsimor's personal page before the critical date, Groupon does not point to any evidence indicating that Ratsimor was viewed or downloaded. Further, in contrast to Voter Verified, the present case lacks any testimonial evidence that a person interested in e-commerce and peer-to-peer marketing would be independently aware of the web address for Dr. Ratsimor's personal page. In other words, there was no evidence that the ordinarily skilled artisan would know of Dr. Ratsimor's personal webpage. Instead, Groupon argues that an Internet search engine would have been able to locate the report. But that argument does not allow us to automatically infer that Dr. Ratsimor's webpage was indexed through search engines or otherwise and thus locatable by a search engine. Voter Verified. The record is devoid of any evidence that a query of a search engine before the critical date, using any combination of search words, would have led to Ratsimor. Alternatively, Groupon points to an article that Dr. Ratsimor and several of the same co-authors published and argues that it would have directed interested researchers to Ratsimor. We have previously recognized that the presence of a "research aid" can also establish public accessibility. The Board acknowledged that the published article was publicly accessible and that it related to the same research presented in Ratsimor. The Board nevertheless found the article insufficient because it did not include any citation to Ratsimor. Moreover, even if the published article would have led a reader to the UMBC Department website, there is no evidence that it would have led a reader to Dr. Ratsimor's personal website, which arguably housed the link to Ratsimor. For example, there is no evidence that UMBC Department's website provided a link to Dr. Ratsimor's webpage. We agree with the Board. The published article does not provide a skilled artisan with a sufficiently definite roadmap leading to Ratsimor. An adequate roadmap need not give turn-by-turn directions, but should at least provide enough details from which we can determine that an interested party is reasonably certain to arrive at the destination: the potentially invalidating reference. For example, a published article with an express citation to the potentially invalidating reference would similarly provide the necessary guidance. See Cornell Univ. v. Hewlett-Packard Co., No. 01-cv-1974, 2008 U.S. Dist. LEXIS 39343, at *20-21 (N.D.N.Y. May 14, 2008) (finding that an article in a "seminal publication in the field of electrical engineering" with an explicit citation to the allegedly invalidating reference was a research aid that made the sought-after reference publicly accessible). In this case, Groupon at no point asserts that the published article cited or mentioned Dr. Ratsimor's personal page. Instead, Groupon asserts that the common subject matter would lead an interested party to do additional research on the UMBC Department's website. However, even to the extent that is true, there is no evidence that an interested party could navigate from that website to Dr. Ratsimor's personal page, whether through a direct link or a chain of links, to access the Ratsimor Reference. I respectfully dissent from the affirmance that Paul anticipated some of the claims at issue. I believe the record evidence does not contain an express or inherent disclosure (or even an express contemplation) of the combined use of the direct-email and refer-a-friend tools. The evidence, at most, it seems to me, reveals that Paul discloses a single system with multiple tools that are capable of functioning together. This is not enough for anticipation. The Board's analysis therefore goes astray because it assumes what Paul neither discloses nor renders inherent. The Wii remote can be used to control an on-screen cursor through the interaction of the remote and the sensor bar. The front of the Wii remote detects the infrared light emitted by the sensor bar, and transmits information regarding that light to the Wii console. Based on the received information, the console displays the cursor on the television screen. The parties disputed whether "handheld device" should be limited to a direct-pointing device, or whether the term also included indirect-pointing devices. The district court adopted Nintendo's proposed construction, construing the term to mean "handheld direct pointing device" and reasoning that "the specification characterizes the invention as a whole as a direct-pointing system that improves upon both indirect-pointing devices and prior direct pointing devices," and that indirect pointing is used only when direct pointing is impossible or undesirable, and "although the specification mentions indirect pointing, it is clear that the invention is aimed at direct pointing." Although there were several bases for the district court's judgment of noninfringement, the primary basis was that the Wii remote was not a "handheld device," as the term had been construed by the district court. The court concluded that UltimatePointer had not put forth sufficient evidence to survive summary judgment because the Wii remote was an indirect pointing device, not a direct one. Specifically, the court determined that although the Wii system can give the impression that the cursor is placed as a result of the user's aim, "in reality it is the remote's interaction with the Wii sensor bar, not the screen, that is relevant to the placement of the cursor." Accordingly, "if the sensor bar is placed elsewhere, such as perpendicular to the screen or behind the user, the user must aim the remote towards the sensor bar . . . in order to have the cursor appear on the screen." The district court also concluded that the claim limitation "a handheld device including: an image sensor, said image sensor generating data . . ." in the asserted claims rendered those claims invalid as indefinite because the apparatus claims also contained a method step (that the image sensor generates data). The court therefore determined that it was unclear whether the system claims were infringed when the apparatus was created, or when the apparatus was put to the specified use. Words in a claim "are generally given their ordinary and customary meaning"; that is, "the meaning that the term would have to a person of ordinary skill in the art in question at the time of the invention." Phillips v. AWH Corp., 415 F.3d 1303 (Fed. Cir. 2005) (en banc). "Importantly, the person of ordinary skill in the art is deemed to read the claim term not only in the context of the particular claim in which the disputed term appears, but in the context of the entire patent, including the specification." "The specification 'is always highly relevant to the claim construction analysis. Usually, it is dispositive; it is the single best guide to the meaning of a disputed term.'" Id. (quoting Vitronics Corp. v. Conceptronic, Inc., 90 F.3d 1576 (Fed. Cir. 1996)). See also Trustees of Columbia Univ. v. Symantec Corp., No. 15-1146, 2016 WL 386068, at *2-3 (Fed. Cir. Feb. 2, 2016). We have cautioned against importing limitations from the specification into the claims when performing claim construction; however, we have also recognized that "repeated derogatory statements" can indicate that the criticized technologies were not intended to be within the scope of the claims. We agree with Nintendo that the district court did not err in construing "handheld device" as "handheld direct pointing device." The specification repeatedly emphasizes that the invention is directed to a direct-pointing system. The title of the invention explicitly states that the invention is an "Easily-Deployable Interactive Direct Pointing System." The specification also repeatedly emphasizes that the system is for interacting with a presentation in a "direct-pointing" manner, and even describes the handheld device as a "direct-pointing device." The written description also emphasizes how direct pointing is superior to indirect pointing. The Background of the Invention asserts that "pointing devices may be classified" as either direct or indirect pointing devices, and that "it needs no argument that direct-pointing systems are more natural to humans, allowing faster and more accurate pointing actions." The written description further disparages indirect pointing as "less natural" than direct pointing, and as not providing "the speed and intuitiveness afforded by direct-pointing systems." Although the '729 patent does include one embodiment where the handheld device "may include a conventional, indirect pointing device," indirect pointing is only used "where direct pointing is not possible or not desired," thus even further disparaging indirect pointing. Taken together, the repeated description of the invention as a direct-pointing system, the repeated extolling of the virtues of direct pointing, and the repeated criticism of indirect pointing clearly point to the conclusion that the "handheld device" in the asserted claims is limited to a direct-pointing device. Adopting UltimatePointer's "ordinary meaning" would incorrectly require us to divorce the claim language from the repeated direct pointing description and indirect-pointing criticism in the specification. In addition, claim terms are construed in light of the specification and prosecution history, not in isolation. UltimatePointer's argument that a court may only deviate from the ordinary meaning when there is an explicit definition or disclaimer does not apply because the ordinary meaning of "handheld device," when read in the specific context of the specification of the '729 patent, is limited to a direct-pointing device. Accordingly, the district court did not err in its construction of "handheld device" to include the limitation of direct pointing. UltimatePointer argues that even if the district court's construction of "handheld device" was correct, the court nonetheless erred in granting summary judgment of noninfringement. We agree with the district court and Nintendo that the Wii remote is an indirect, not a direct, pointing device, and that there is no genuine dispute of material fact on that point. All of the evidence establishes that it is the relationship between the Wii remote and the sensor bar, not the Wii remote and the television screen, that allows the Wii system to function. 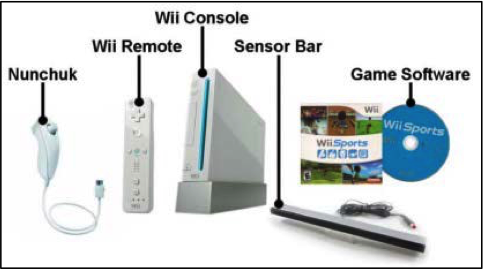 The object of pointing, viz., the cursor, is displayed, not based on the relationship between the Wii remote and where the Wii remote is pointing on the television screen, but instead based on the relationship between the Wii remote and the sensor bar. Although the Wii system may create the illusion of direct pointing, in fact, the cursor is displayed based on an indirect, not a direct, relationship. Although UltimatePointer's technical experts opined that the Wii remote performed direct pointing, they did not contest the manner in which the Wii system functions. As it is that functionality—the interaction between the Wii remote and sensor bar—on which we rest our holding, those expert opinions cannot give rise to a genuine dispute of material fact. We therefore affirm the judgment of noninfringement. Section 112 requires that a patent specification "conclude with one or more claims particularly pointing out and distinctly claiming the subject matter which the applicant regards as his invention." The Supreme Court has read this provision to require that "a patent's claims, viewed in light of the specification and prosecution history, inform those skilled in the art about the scope of the invention with reasonable certainty." Nautilus v. Biosig Instruments, Inc., 134 S. Ct. 2120 (2014). We have held that a single claim covering both an apparatus and a method of use of that apparatus fails to meet the requirements of § 112 because it is unclear whether infringement occurs when one creates an infringing system, or whether infringement occurs when the user actually uses the system in an infringing manner. Nonetheless, "apparatus claims are not necessarily indefinite for using functional language." If an apparatus claim "is clearly limited to an apparatus possessing the recited structure and capable of performing the recited functions," then the claim is not invalid as indefinite. We agree with UltimatePointer that the asserted claims are not invalid as indefinite, as the claims do reflect the capability of the claimed apparatus. The claims at issue here make clear that the "generating data" limitation reflects the capability of that structure rather than the activities of the user. Unlike the claims in the cases cited by Nintendo, the claims do not recite functionality divorced from the cited structure. Therefore, the claims do not reflect an attempt to claim both an apparatus and a method, but instead claim an apparatus with particular capabilities. Accordingly, we reverse the district court's determination that the asserted claims are invalid as indefinite. Comment: Be careful when limiting a device to two implementations. Even if the specification includes an embodiment of the device for each implementation, disparaging the first implementation in the title, background, and detailed description of the specification may result in a claim construction necessarily including the second implementation. In addition, to avoid indefiniteness in apparatus claims including method steps, avoid reciting functionality divorced from the cited structure. This appeal raises challengesregarding claim construction, infringement, and damages after a jury found that the asserted claims of three Eon patents were infringed by Silver Spring, a utility services network provider. The claims in question recited the claim language "portable" and "mobile." The utility meters determined by the jury to be infringing are affixed to the exterior walls of buildings and connected via a 240 volt wire. Silver Spring argued that the district court's decision not to construe the terms "portable" and "mobile" improperly delegated to the jury the task of determining claim scope. Silver Spring also argued that no reasonable jury could have found infringement, as the plain and ordinary meaning of the terms cannot encompass Silver Spring's products. Eon responded that the court was correct in not further construing the claim terms, and that the jury's verdict is supported by the evidence. We agree with Silver Spring on both points. The district court explained that the terms "do not require construction because their meanings are clear in the context of the claims and will be readily understandable to the jury." In the district court's view, Silver Spring was "asking for nothing the plain and ordinary meaning of the terms cannot do on their face—distinguish from 'stationary' or 'fixed.'" In deciding the claims needed no construction beyond plain and ordinary meaning, the district court concluded that it had "resolved the parties' claim scope dispute." The District Court's Failure to Construe the Pertinent Terms Is Not Excused by Instructing the Jury to Apply the "Plain and Ordinary Meaning"
Here, the district court did not resolve the parties' dispute but instead instructed the jury that the claims should be given their plain and ordinary meaning. During claim construction, the parties actively disputed the scope of the "portable" and "mobile" terms. The crucial question was whether, as Silver Spring argued, the terms should not be construed so broadly such that they covered "fixed or stationary products that are only theoretically capable of being moved." By determining only that the terms should be given their plain and ordinary meaning, the district court left this question of claim scope unanswered, leaving it for the jury to decide. The dissent contends that the court did, in fact, resolve the parties' dispute by rejecting Silver Spring's "special definition" in favor of plain and ordinary meaning. But simply rejecting one proposed construction does not mean that a general jury instruction to give terms their plain and ordinary meaning resolves the relevant dispute. The district court remained obligated to provide the jury with a clear understanding of the disputed claim scope—and the continuing debate as to the meaning of "portable" and "mobile" during the trial belies the court's boilerplate assertion that it did so. Indeed, the dissent acknowledges that "an instruction giving a term its 'plain and ordinary meaning' may be inadequate when the term has more than one ordinary meaning or when reliance on the term's ordinary meaning does not resolve the parties' dispute." Those are precisely the circumstances of this case. Having concluded that the district court erred by simply instructing the jury to give the terms "portable" and "mobile" their plain and ordinary meaning, we next consider whether remand for a new trial is appropriate. Here, it is clear that no remand is necessary because, when the claim terms are properly construed, no reasonable jury could have found that Silver Spring's electric utility meters infringe. Eon's position was, essentially, that because Silver Spring's meters could be moved, they satisfied the claims' portability feature. Silver Spring proposed that the terms "portable" and "mobile" be construed, in part, as "designed to operate without a fixed location". Eon's position is completely untethered to the context of the invention. Although the terms "portable" and "mobile" might theoretically, in the abstract, be given such a broad meaning, they cannot be construed that way in the context of the patents in question. The patents consistently describe the "portability" feature of the invention as the movement of a low-power subscriber unit across cell boundaries, with good digital synchronous communication contact throughout the network. Read in their appropriate context, the terms "portable" and "mobile" cannot be construed as covering the accused meters in this case. The evidence showed that Silver Spring's electric utility meters are, besides being affixed to the exterior walls of buildings, connected via a wire containing 240 volts. A certified electrician is required to install or remove a meter. Here, it is clear that no remand is necessary because, when the claim terms are properly construed, no reasonable jury could have found that Silver Spring's utility meters infringe. Because no reasonable jury could have found that Silver Spring's devices are "portable" and "mobile" in the context of the claimed invention, we reverse the judgment below, and do not reach Silver Spring's additional arguments. The majority holds that "no reasonable jury could have found that Silver Spring's devices are 'portable' and 'mobile' in the context of the claimed invention." I disagree. There is no room for doubt that the accused meters would qualify as mobile and portable under the ordinary meaning of those terms, and the majority does not suggest otherwise. The central question in this case is whether the specifications of the patents demonstrate that the patentee intended to depart from the plain meaning of those terms, i.e., "capable of being easily and conveniently transported," and to adopt the meaning proposed by Silver Spring, i.e., "capable of being easily and conveniently moved . . . and designed to operate without a fixed location." The majority essentially adopts Silver Spring's construction, and in particular the final clause requiring that the device be "designed to operate without a fixed location." I do not agree that the specifications of the two patents support that restrictive definition. Instead, I conclude that the district court properly determined that the terms "portable" and "mobile" were used in their ordinary sense in the patent, and that the court properly instructed the jury to give those terms their ordinary meaning. For that reason, I disagree with the majority's decision that the evidence, viewed in light of the proper construction of the claims, was insufficient to support the jury's verdict. Liown Electronics and its distributors appeal from the grant of a preliminary injunction barring Liown from supplying the distributors with artificial candle products that infringe Disney's '166 patent. We vacate and remand for further proceedings. The patents asserted in this case—the '166, '355, '319 and '860 patents—cover "Artificial Flame Technology" for making the light from artificial candles flicker like real candles. These techniques were first developed for the Haunted Mansion ride at Disneyland. In 2008, Disney granted Candella a worldwide license under the patents. The original terms of the license restricted Candella's rights in several ways, but the license was amended a number of times to modify the rights retained by Disney. In early 2010, Candella first approached Liown to manufacture its candles. Negotiations between the companies soon broke down, and Liown subsequently filed a patent application in China. Allegedly, Liown based this application on confidential information it obtained during its negotiations with Candella. In 2012, Liown began selling its candles in the United States. Two days after one of the amendments noted earlier, Candella sued Liown for patent infringement. The parties settled, and Liown agreed to stop selling infringing candles in the U.S. Following the settlement, Candella and Liown reopened negotiations for Liown to manufacture candles having the Artificial Flame Technology. However, the relationship again deteriorated. Shortly after receiving its own U.S. patent covering similar technology, Liown allegedly began selling its own flameless candles to Candella's exclusive customers based on information it learned about those customers in the period after the settlement proceedings. Candella again filed suit against Liown, alleging patent infringement, tortious interference, and trademark infringement. After filing this suit, Candella merged into Luminara, which now possesses the rights formerly held by Candella. Shortly after the suit was filed, Liown unsuccessfully moved to dismiss for lack of standing. Luminara moved for a preliminary injunction based on Liown's alleged infringement of claim 1 of the '166 patent and Liown's alleged tortious interference with Luminara's customers. The court granted Luminara's motion based on the alleged infringement without reaching the alternative ground of tortious interference. Liown appealed, challenging the holding that Luminara had standing and its grant of a preliminary injunction. Only parties with exclusionary rights to a patent may bring suit for patent infringement. The amended agreement sets out the scope of Candella's rights to the Artificial Flame Technology; thus, we look to it to determine whether Candella had exclusionary rights to the asserted patents at the time this suit was filed. Liown argues that Candella does not have exclusionary rights to the asserted patents because Disney retained the right to freely license the technology to any entity by creating new "Affiliates." However, like the district court, we conclude that "Affiliate" does not have the broad meaning that Liown claims. If Disney could license the Artificial Flame Technology to any other entity merely by licensing some additional technology to that entity, Candella's promise of an "exclusive" license would be a fiction. We hold that Candella had exclusionary rights to the Artificial Flame Technology when this suit was brought. Liown's next standing argument is that Disney retained substantial rights which prevent Luminara from bringing suit in its own name without joining Disney. The rights that Liown argues Disney retains are: the right for Disney and its Affiliates to practice the patents; title to the patents; the responsibility to pay maintenance fees to keep the patents in force; a financial interest in litigation and licensing; and a right to notice of litigation and licensing activities. None of these retained rights individually or cumulatively are substantial enough to preclude Luminara from bringing suit in its name alone. We hold that Luminara has all substantial rights to the patent and therefore it is not necessary to join Disney in this lawsuit. Thus, we reject the standing arguments raised by Liown. To obtain a preliminary injunction, a party must show that it is likely to succeed on the merits, that it is likely to suffer irreparable harm in the absence of preliminary relief, that the balance of equities tips in its favor, and that an injunction is in the public interest. Furthermore, a patentee must establish a causal nexus between the infringement and the alleged harm. Liown argues that the preliminary injunction was improperly granted because there is a substantial question of validity—namely, whether Disney's prior '455 patent anticipates claim 1 of the '166 patent. Claim 1 of the '166 patent forms the sole basis for the district court's grant of a preliminary injunction. This claim recites in pertinent part: a pendulum member for generating a flickering flame effect, including a body that "is free to pivot when supported by the flame support element." Disney's prior art '455 patent teaches a flame element above a supporting two-axis gimbal, such that the flame element may rotate around two axes. The parties agree that the '455 patent discloses every element of claim 1 of the '166 patent except the requirement that "the body is free to pivot when supported by the flame support element." But the parties dispute whether rotation around two axes using gimbals (as taught in the '455 patent) satisfies this limitation. In considering whether there is a substantial question of invalidity, the district court construed "free to pivot" to mean "to run on, or as if on, a pivot." The court then wrote that the specification teaches that the pendulum described in claim 1 of the '166 patent "is suspended using a V-shaped wire passing through a larger hole." This "relatively loose suspension allows the pendulum to rotate around three axes" and "slide along the wire," among other movements. The court concluded that the pendulum "moves in at least four different ways, and moves in a random, unpredictable manner." Because the '455 patent teaches a body that moves in only two ways (that is, rotates around only two axes), the court held that it did not satisfy the "free to pivot" limitation. In essence, the district court construed "free to pivot" to include two additional limitations: (1) chaotic movement and (2) movement that is more than rotation around two axes. The ordinary meaning of "free to pivot" does not plainly require either of these limitations. Pivoting includes rotation around a single axis—for example, when a door pivots on its hinges, a dancer turns on a pivot foot, or a lever pivots on a fulcrum. And being "free to pivot" does not require chaotic motion. Absent lexicography or disavowal, we do not depart from the plain meaning of the claims. At this preliminary stage, we see no definition and no disavowal or disclaimer in the specification requiring motion in four different ways or directions. Certainly, the specification teaches that in some embodiments, the body has a hole that is larger than the diameter of the supporting wire, allowing it to move side-to-side and to rotate around the support element. However, the specification also teaches that in other embodiments, it is preferable to have a rigid or semi-rigid support element—not a wire. In these embodiments, the body would rotate around the support elements, but would not flutter or move side-to-side or in the other ways required by the district court. Thus, the specification teaches that non-rotational motion is optional. We have been shown no prosecution history that is to the contrary. As a result, we see no basis for departing from the plain meaning of the term "free to pivot." Thus, we preliminarily construe claim 1 of the '166 patent to require chaotic pivoting, with no further requirements on movement. The '455 patent undisputedly teaches pivoting in two axes. Furthermore, the '455 patent teaches that the flame reflector, balanced on a gimbal mechanism allowing movement on a minimum of two axes, is "articulated by a natural and chaotic external or internal force (such as wind, magnetism)" to "randomly simulate blowing in the wind." The final limitation in claim 1 of the '166 patent—chaotic movement—seems to be met with this discussion of chaotic forces that can articulate the flame reflector of the candle device in the prior art '455 patent. As a result, we conclude that Liown's argument that the '455 patent anticipates claim 1 of the '166 patent raises a substantial question of validity. Luminara asks us to maintain the preliminary injunction on the basis of its claim for tortious interference or on the basis of Liown and the distributors' infringement of other patent claims not decided by the district court. We will not consider these claims in the first instance on appeal. Harmonic filed an IPR petition to review the patentability of Avid's '291 patent. The Board instituted the IPR on a subset of the grounds in the petition, and ultimately determined that the instituted ground did not render claims 11-16 of the '291 patent unpatentable. Harmonic appeals the Board's final written decision, challenging both the Board's patentability determination and its refusal to revisit grounds of unpatentability that it declined to institute as redundant to the instituted ground. For the reasons below, we affirm the Board's confirmation of claims 11-16 over the instituted ground and conclude that we do not have jurisdiction to review the Board's institution decision. Avid owns the '291 patent directed to a system for decompressing consecutive streams of compressed video data. Many computers store video in a compressed form. One well-known compression format is MPEG. Instead of storing every video frame in full, MPEG stores only changes in one frame to the next. Before these compressed video files can be played, they must first be decompressed. Systems to compress and decompress videos were well known in art at the time of the '291 patent application's filing. In its IPR petition, Harmonic alleged that, in view of seven different prior art grounds, all twenty of the patent's claims were unpatentable as anticipated or obvious. The Board instituted IPR on claims 1-16 based on the obviousness ground of Haskell combined with Rossmere. The Board did not institute based on four other grounds in Harmonic's petition directed at claims 1-16, calling them "redundant" of the instituted ground. The Board did not institute on claims 17-20. The Board's final written decision concluded that claims 1-10 were unpatentable in view of Haskell combined with Rossmere. The Board also found claim 11—along with claims 12-16, which depend from claim 11—patentable over the instituted prior art ground. Particularly, the Board found that Haskell combined with Rossmere did not satisfy the "predefined period of time" limitation in claim 11, which it construed to mean "a prior defined period of time." On appeal, Harmonic argues that the Board erred in concluding that claim 11 (and claims 12-16, which depend from it) is patentable in light of the instituted prior art ground. Harmonic also argues that the Board should have considered all prior art grounds in its petition, especially after finding claim 11 patentable in view of the instituted ground. In an IPR, the petitioner has the burden from the onset to show with particularity why the patent it challenges is unpatentable. 35 U.S.C. § 312(a)(3). Claim 11 requires that the system's controller command the input switch to begin providing data to a second decompression array at a "predefined period of time" after a first decompression array begins receiving data. Harmonic argues that Haskell teaches this claim limitation, but puts forth little evidence in support. With no express teaching of this limitation, Harmonic relies on unsupported and inferential theories based on what Haskell does teach. We conclude that there is substantial evidence to support the Board's finding that Haskell neither teaches nor suggests the "predefined period of time" limitation of independent claim 11 and claims that depend from it. We now turn to Harmonic's argument that the Board, after concluding that the instituted ground did not render claims 11-16 unpatentable, erred by failing to consider the other grounds in the IPR petition. In addition to obviousness based on Haskell and Rossmere, Harmonic's petition included four other grounds for unpatentability of claims 1-16. The Board denied institution on these grounds as "redundant": Harmonic argues that in light of the Board's final written decision that Haskell and Rossmere do not render claim 11 unpatentable, the Board was compelled to revisit grounds it deemed redundant. Before we address the merits of Harmonic's argument, we first must determine whether we have jurisdiction to review this question. IPR proceedings involve two distinct phases: (1) the institution phase, beginning with the filing of an IPR petition and culminating in the decision of whether to institute an IPR proceeding; and, if instituted, (2) the merits phase, beginning after the Board's institution decision and culminating in the Board's determination of patentability in light of the instituted ground(s). We have jurisdiction to hear appeals from parties "dissatisfied with the final written decision" from the merits phase. 35 U.S.C. § 141(c). We do not, however, have jurisdiction to review an institution decision. Under the title "No appeal," 35 U.S.C. § 314(d) prescribes that a "determination by the Director whether to institute an inter partes review under this section shall be final and nonappealable." Our cases have strictly applied the § 314(d) restriction. In re Cuozzo Speed Techs., LLC, 793 F.3d 1268 (Fed. Cir. 2015), cert. accepted, considered whether we could review the PTO's decision to institute an IPR proceeding. Most recently, in Synopsys Inc. v. Mentor Graphics Corp., 2016 WL 520236 (Fed. Cir. 2016), we considered a challenge under 35 U.S.C. § 318(a) to a final written decision that did not address every claim raised in an IPR petition. In Synopsys, while we declined to review the merits of the Board's partial institution decision, we did review the question of whether the Board is required to address all claims raised in an IPR petition in its final written decision under § 318(a), which directs the Board to issue a final written decision with respect to "any patent claim challenged by the petitioner." We concluded that it is not, finding no statutory requirement that the Board address every claim raised in an IPR petition. Harmonic argues that the Board's decision to not institute on certain prior art grounds it classified as "redundant" is not an institution decision. We disagree. The Board's decision to institute on one prior art ground or another does not raise fundamental questions about the scope of its statutory authority to deem patents unpatentable; it is simply the Board's exercise of its institution authority in a given case. Section 314(d) prohibits our review.